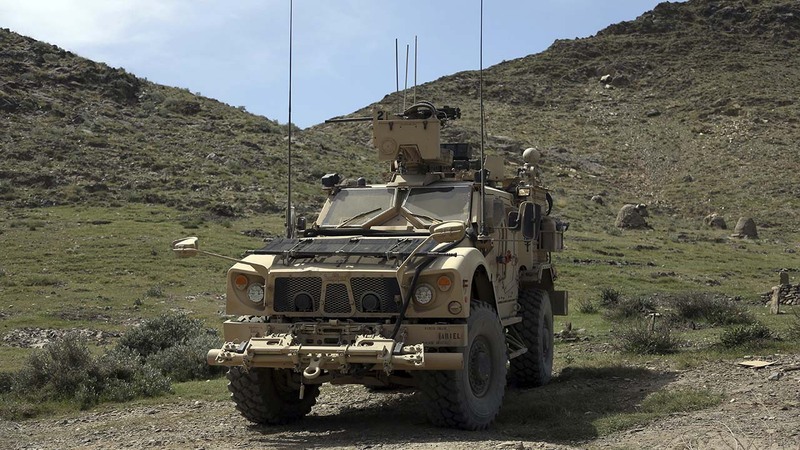 KABUL, Afghanistan -- The Pentagon says that two U.S. service members were killed in an attack on a NATO convoy near Kandarhar in southern Afghanistan. Navy Capt. Jeff Davis, a Pentagon spokesman, confirmed the deaths. There was no information on the number of troops wounded. A suicide bomber struck the convoy and the Taliban took responsibility for the attack. Eyewitness Ghulam Ali, who runs a mechanics shop near the attack site on the outskirts of the city of Kandahar, says he saw a military vehicle on fire on the road. He says helicopters arrived and he saw soldiers being taken away from the scene, but could not determine the extent of their injuries. The U.S. military in Afghanistan has refused to provide any information on potential casualties.